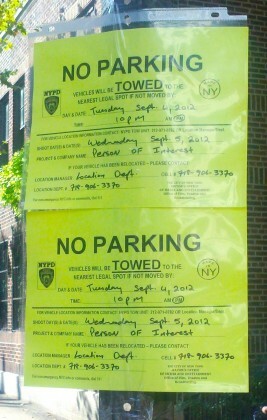 Residents of the North Heights take note – the CBS drama Person of Interest will be shooting in the area on Wednesday (9/5). We saw notices on Hicks and Henry Streets that cars must be moved by 10pm to avoid being towed away. Be sure to look for any postings wherever you may be parked as well. Note that this is one of your humble publisher’s favorite shows. Special bonus if we spot Taraji P. Henson, Jim Caviezel and Michael Emerson winding down at Jack the Horse after the shoot. The show has also shot in DUMBO and other parts of Brooklyn. The show’s second season begins on CBS September 27. Cranberry Street Poster: Don’t Feed the Rats!